Crack the codes and complete the puzzles to solve dozens of mini mysteries. 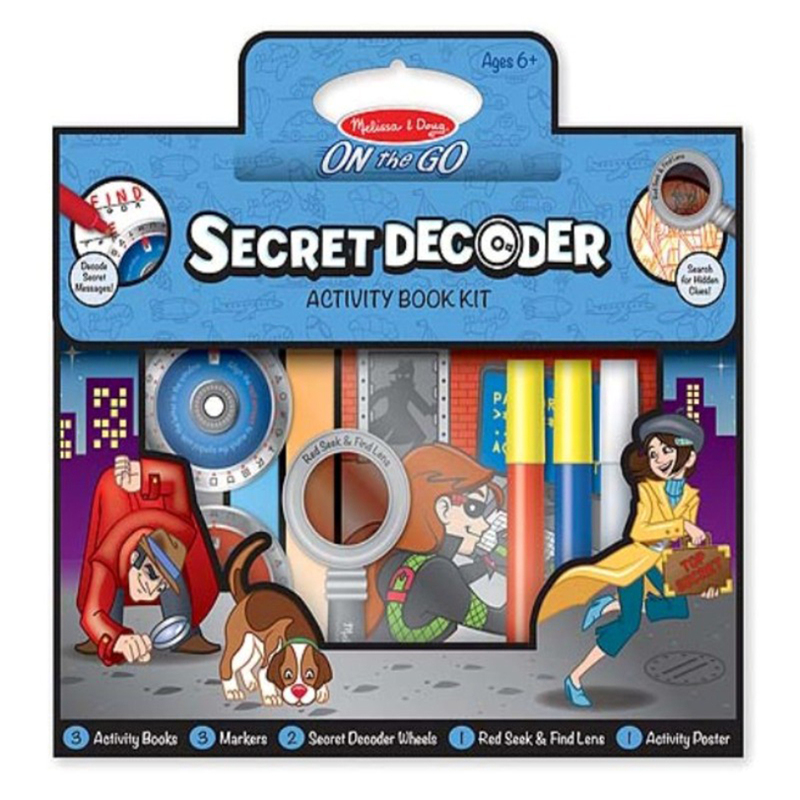 This secret decoder activity set is perfect for any budding spies out there. Contains three unique activity books, two sticker sheets, two decoder wheels, two colour change markers, one invisible ink marker, one seek and find lens and over 50 unique activities.